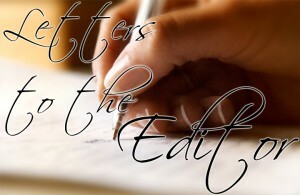 Newer: » Letter to the Editor: ACES says thanks! As a lifelong Catholic brought up and educated in Dublin Ireland, I was taught Latin by the Franciscans in Dublin and the Jesuits taught us our faith. The Christian Brother’s School I went to taught us the normal scholastics, plus a good dose of the school of hard knocks. I have been blessed to have had a great life travelling to many corners of the world with my wife, and we will be celebrating our 47th anniversary next month. We have visited many parishes throughout our travels and have enjoyed our faith with many people from all walks of life. I retired here [San Pedro] eight years ago, and have enjoyed all aspects of Belize and its people, including the Catholic Church; that is until the arrival of the latest pastor. The remarks given at the recent funeral mass for Felix were not only not called for, but were so far out of place considering the Pope’s recent public contrition regarding the LGBT community. Regardless of your stance on the subject, the respect to a grieving family from their pastor should be a time for healing, not creating division. What a shame this priest took the bully pulpit approach to declare man’s blind indifference to his fellow man. I hope the new bishop in Belize realizes he has a shepherd who is more of a hit man than a herder of a congregation that will get smaller with these outdated rants. In this day and age most Christian people believe in ‘live and let live’ when it comes to life style, and for that matter, personal choices. I go to church to pray and for the blessing of my Savior, not to listen to whoever is using the pulpit to demean or speak down to the congregation using bible passages to suit his opinion. It’s the 21st century, and even the Pope knows that, so let’s be more tolerant to our brothers and sisters of all faiths and persuasions. To Fr. Scott please open your heart to all and understand the opinion of each and every human being is equal, it may differ in as much as you feel it is at odds with your faith as you understand it, but it is none the less equal.